Te Papa shares the story of modern design through the collection of ceramics, glass and metalwork gifted by Wellingtonian Walter Cook. Featuring selected objects, the new exhibition, Walter Cook: a collector’s quest opens this Saturday on Level 6. Walter Cook’s first purchase initiated him into what he called ‘the addictive habit and thrill of hunting quarry in second-hand shops’. During the years between 1961 and about 1991, he built up a collection which reflects the second hand and antique market in Wellington that is now of national importance. “The collection was put together in the days before online sales and provides a clear picture of the antique dealers’ arena specifically in Wellington during that time.” says Justine Olsen, Decorative Arts and Design Curator at Te Papa. Many of these dealerships have since closed but can still be remembered by some Wellingtonians. Walter Cook was a passionate, well read collector who sought out objects with broad ranging international connections. 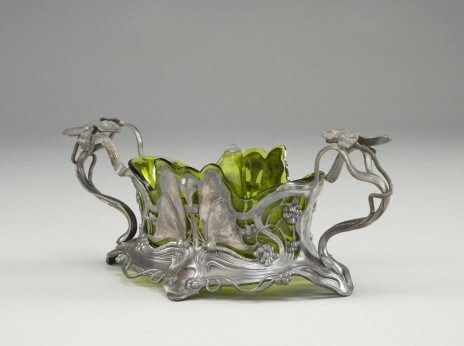 Pieces in the collection, which feature in the exhibition range from the Arts and Crafts movement ceramics to German art-nouveau pewter and Scandinavian modern design. 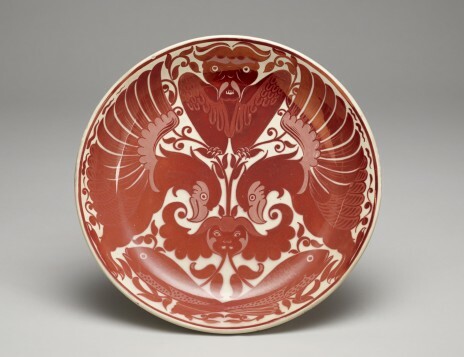 A wonderful example of the Arts and Crafts movement is a De Morgan ceramic dish from 1883, which features a striking hand-painted red design. Over the years, Walter developed quite the discerning eye and managed to find a Linthorpe Pottery jug by industrial designer, Christopher Dresser while in a junk shop in Auckland. Walter and his wife Adriann gifted the collection to Te Papa in 1992 and this exhibition marks the 20th anniversary of the gift.